FAST! Speak German Confidently in 30 Days-Guaranteed! Guten Tag from Learn It Now! 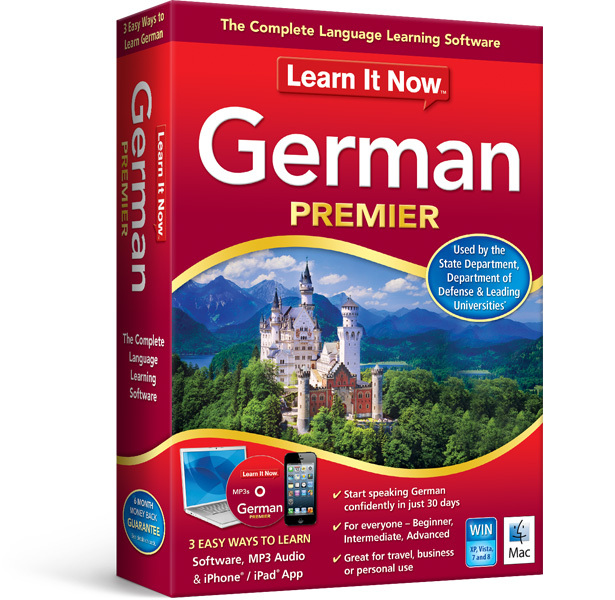 Experience for yourself how fun and easy it is to learn German with Learn It Now. Complete with interactive lessons, games and activities, you’ll feel confident with your new German language skills in as little as 30 days - guaranteed! 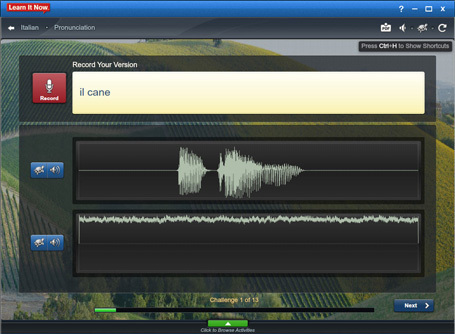 This groundbreaking software is perfect for beginner, intermediate or advanced speakers looking to build vocabulary, learn common phrases and expressions or perfect an accent. 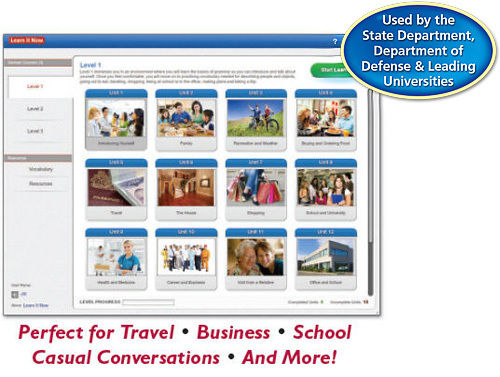 Whether you’re learning German for travel, business, school or personal use, this award-winning language learning software will help you become fluent faster than you ever thought possible. 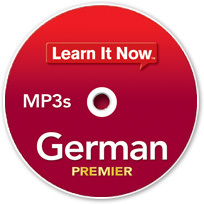 With 3 convenient way to learn, it's easy to become proficient in German using Learn It Now. 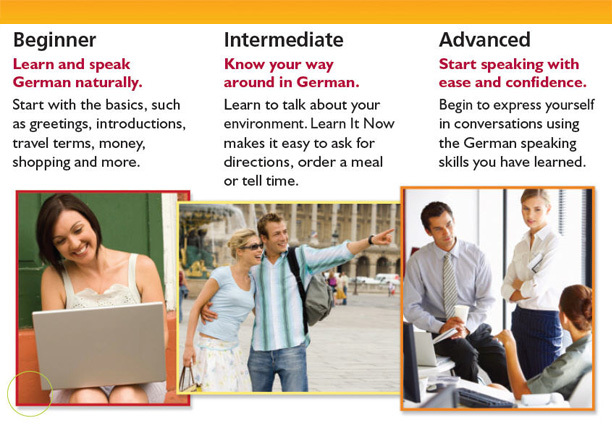 Master your speaking skills on the go with a complete German audio course. From puzzles to plug-n-play games, Learn It Now makes learning German exciting for the entire family! 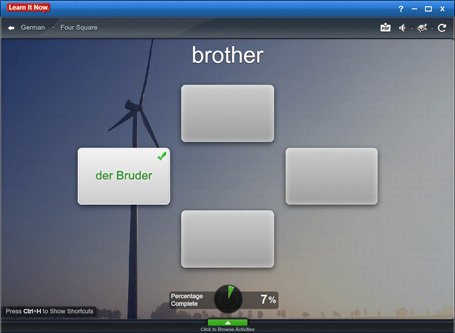 Play Games and Learn German at the Same Time! 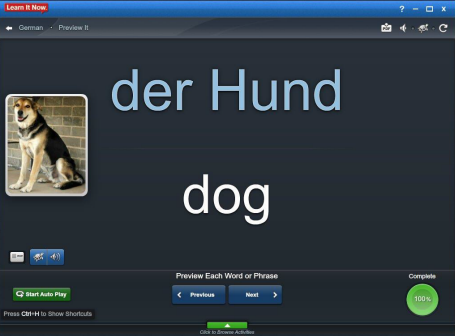 Quickly improve your German speaking skills with this proven learning method. 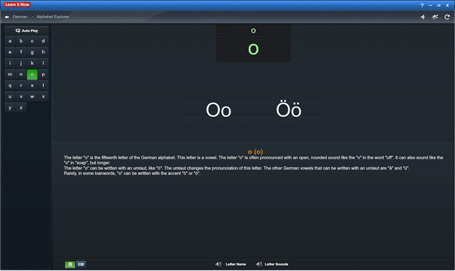 Perfect your German accent with advanced speech analysis tools. In what countries is German spoken? What symbol is used above the letter O? 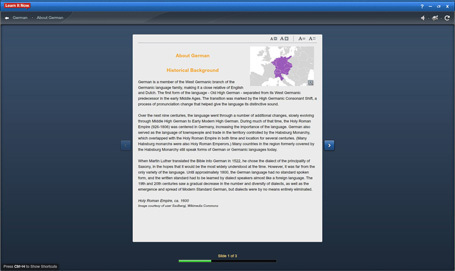 With Learn It Now, not only will you become a fluent German speaker, you’ll also learn the about the language’s special history and unique characteristics. With additional resources that help to guarantee your transformation from novice to confident speaker in just 30 days, it’s no wonder that Learn It Now is known as the most complete language learning software!